Wilson in San Juan has been a favorite spot for food trips recently. And every time we pass by the area, I can't help but notice this small bbq place called Toki Q. It is said to be one of the first ever rotating bbq in the Metro, and it certainly piqued my interest on the whole idea. The place was indeed small with limited tables and seating capacity. 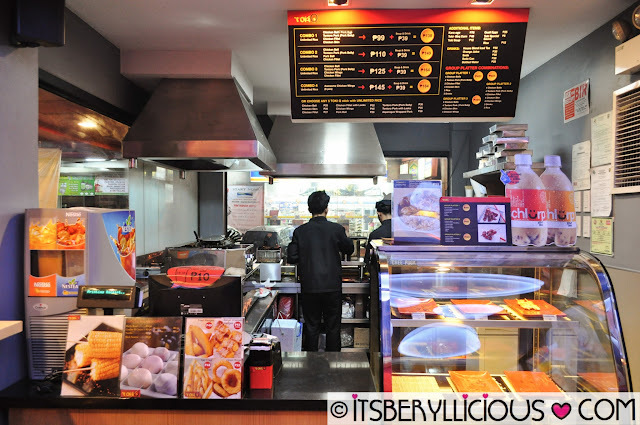 We carefully browsed through their menu and made our bbq selections. I like how they sell their products per stick, enabling us to try more of their bbq offerings. 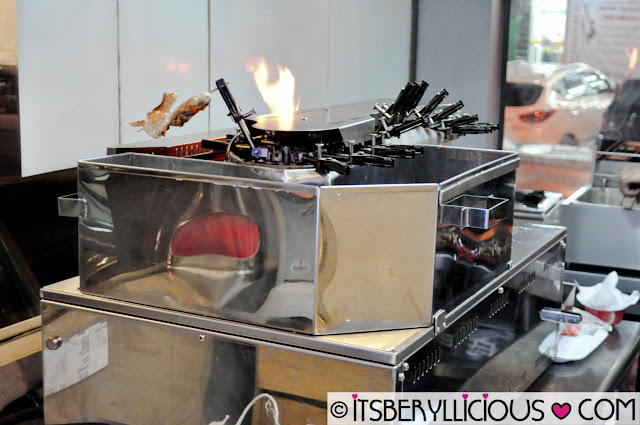 It was interesting to watch how the rotating bbq works as the machine did all the cooking of our food. 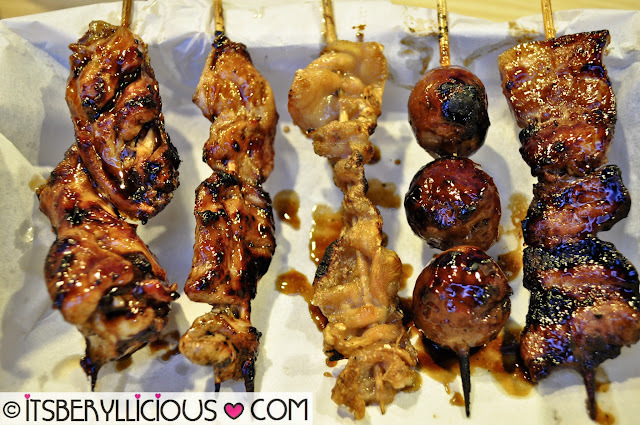 We also ordered for non bbq items on their menu while waiting for our bbq yakitori sticks. 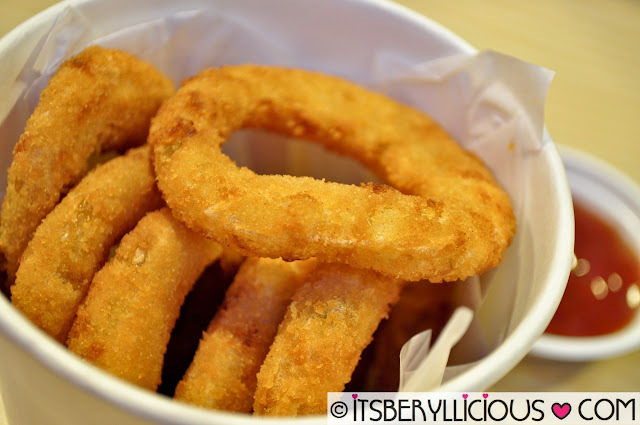 Their Onion Rings reminded me of my favorite treat from Burger King. It was served hot and fresh with a crunchy batter coating. Price may seem very affordable, but I was not too satisfied with its serving size. Next to be served was the Chicken Kara-age in a special Toki sauce. Tender chunks of chicken, breaded and fried to perfection which we enjoyed munching on. When the bbq skewers were served to us, I was quite disappointed with the sizes given the price per stick. But after trying out each bbq, I was kinda impressed by the taste and quality. Surely, the taste made up for its size. 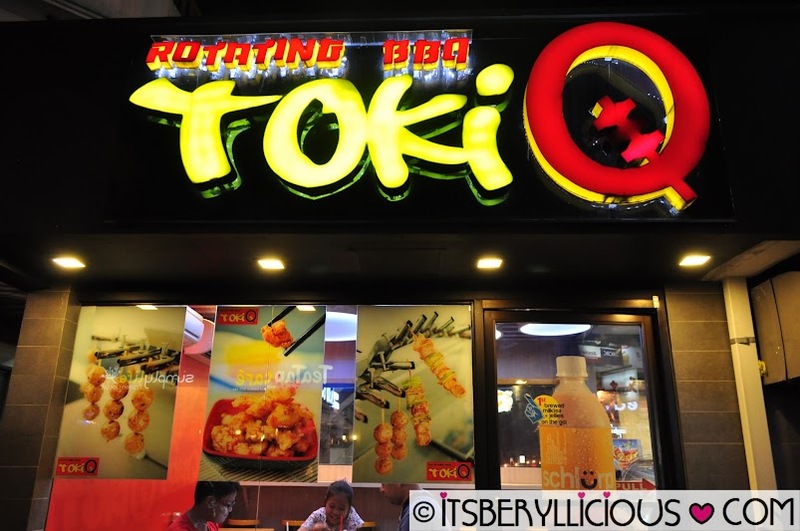 It has this smokey bbq aroma in every bite, followed by a sweet and salty combination of their special Toki sauce. It is in Toki Q where we first discovered Schlurp-milk tea w/ jellies in a bottle. 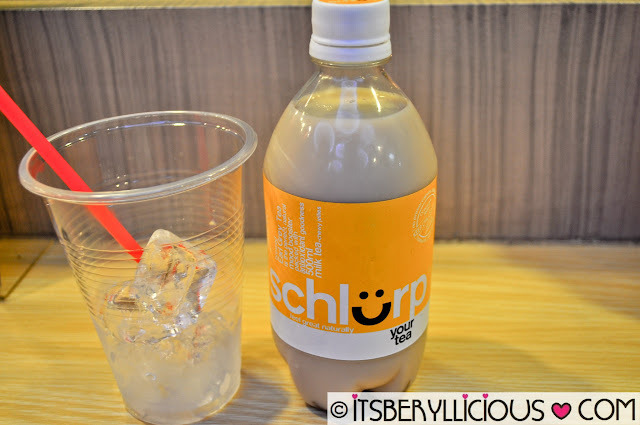 It's probably the first and only milk tea in a bottle that we've tried and we loved it. It's not too sweet, rather it's milkier with a mild taste of earl grey flavor. 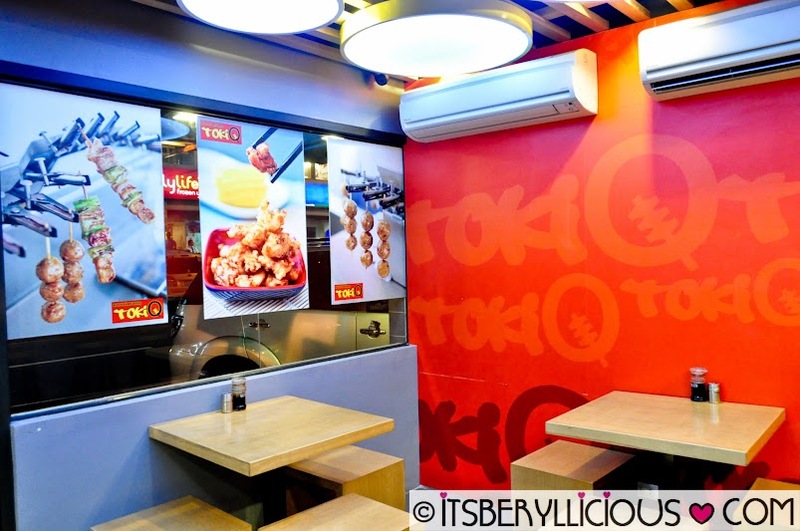 Overall, I would say our visit to Toki Q was a nice experience. I would definitely visit again perhaps for a light snack or a quick bite. I have yet to try other bbq skewers as some weren't available during our visit. Ohh, this looks interesting. 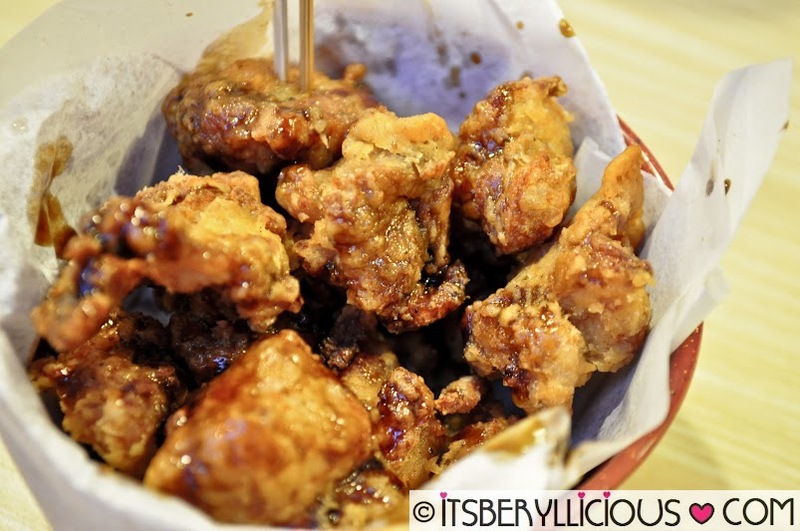 The Chicken Kara-age looks SO GOOD! Your foodstuffs added up to my cravings. I like that barbeque grill kind of thing in your kitchen and I hope to visit your place soon. I loved the rotating barbecue grill thing. And all the food were affordable and mouth watering.